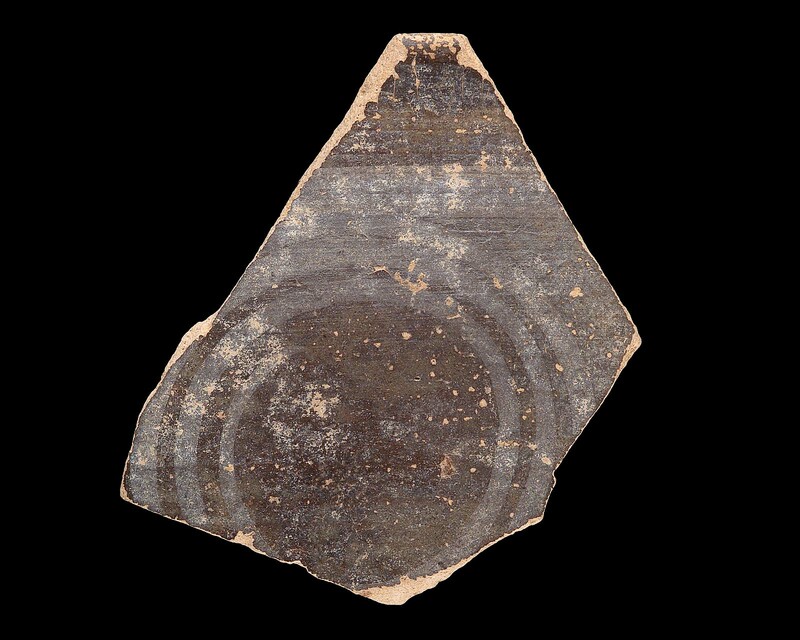 Rim fragment. Thin buff ware with black slip interior and exterior. White horizontal bands below rim and three-looped, delicate spirals on body.